Ford trucks look great with leveling kits, lift kits, new bumpers and auxiliary lighting. Check out what we've done from SuperDutys to Raptors! The F150 has been one of America's most popular trucks since it first hit the market. 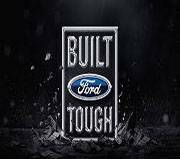 Here is where you can find all kinds of ideas for late model up to current F150 trucks that are built Ford Tough! Need ideas for Ford SuperDuty F250 and F350 trucks, look no further and click here to see some great ideas to do with your truck! Raptors are built for speed on and off-road, but there are a few shortcomings from the factory that we can help you fix. Check out this area for frame strengthening ideas, shock upgrades, bumper upgrades, light upgrades, roll cages and more!